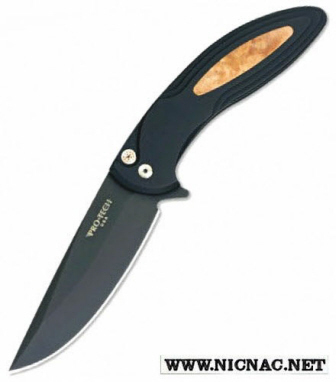 The Protech Cambria is a flipper knife by Protech Knives that is overall open length 7.75 inches with a drop point blade length of 3.5 inches and is made with 154CM flat grind. It is tip up carry with an aluminum handle made for the right hand user. Made in the USA!